If you are looking for a unique, impossible to duplicate piece of functional art, then look no further! This light sculpture will be perfect for your desk, end table, home office, or wherever you'd like to place it. I have assembled this beautiful piece from scratch, all parts were cleaned individually without altering the patina where existing, all the metal has been treated with rubbed wax to seal it and prevent further corrosion. This lamp features three swivels (2+1) for a wide array of configurations. All the wiring and electrical components are new. The cord is about 4 feet long and it is heat resistant cloth covered wire. It uses one GU10 bulb, pictured is a LED bulb (included at no additional cost). This piece has been numbered and signed. 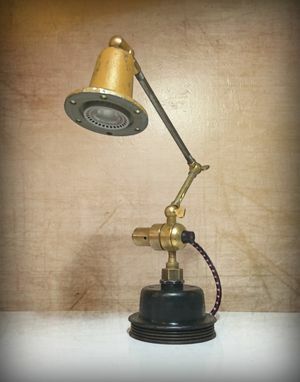 Any imperfections present on the lamp are inherent to the handmade nature of this re-purposed light. 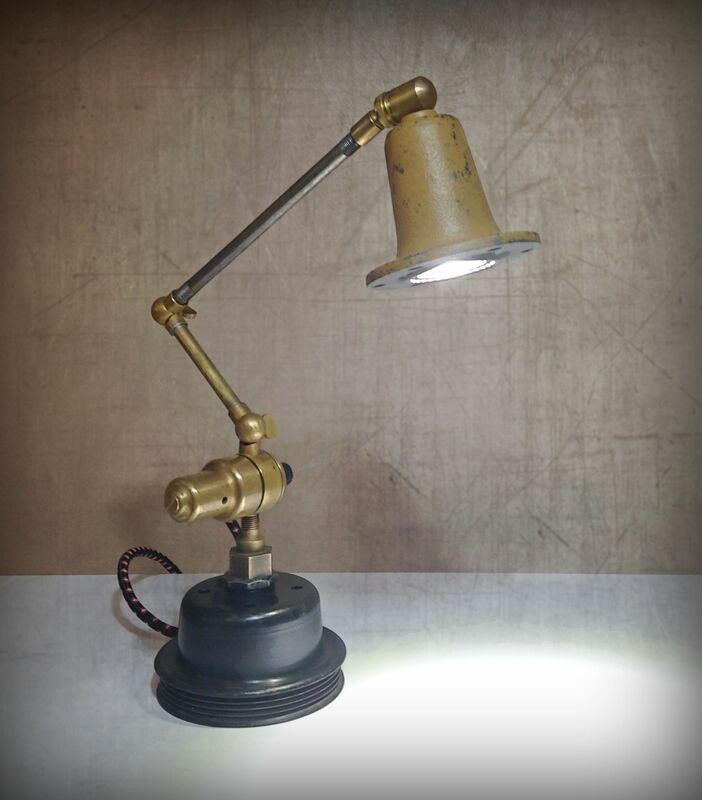 Note: As with any handmade item, this lamp should be handled with care, always carry the lamp by holding it with one hand on the base and the other on the body of the lamp, this will ensure many years of enjoyment. IMPORTANT: All my artwork is designed by me and is copyrighted, please be original, don't copy it.